Whether you love him or hate him, there is no question that George W. Bush is one of the most controversial public figures in recent memory. In an unprecedented undertaking, acclaimed director Oliver Stone is bringing the life of our 43rd President to the big screen as only he can. W. takes viewers through Bush’s eventful life — his struggles and triumphs, how he found both his wife and his faith, and of course the critical days leading up to Bush’s decision to invade Iraq. Did you see this movie trailer on apple.com? 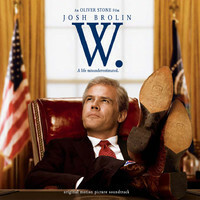 The film stars Josh Brolin and James Cromwell, and it‚Äôs available in iTunes. Watch it and tell me what you think. Home > iTunes Movie Trailers > W.